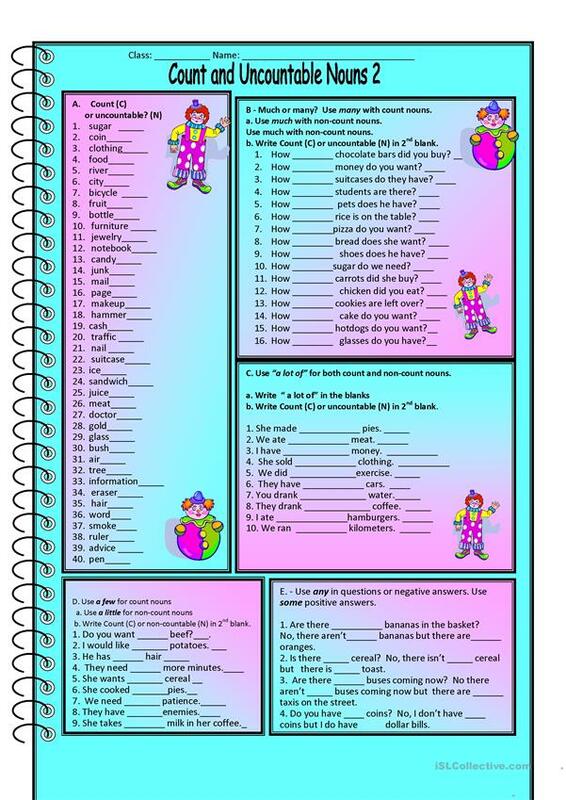 2nd Worksheet and answer key for count and noncount nouns. 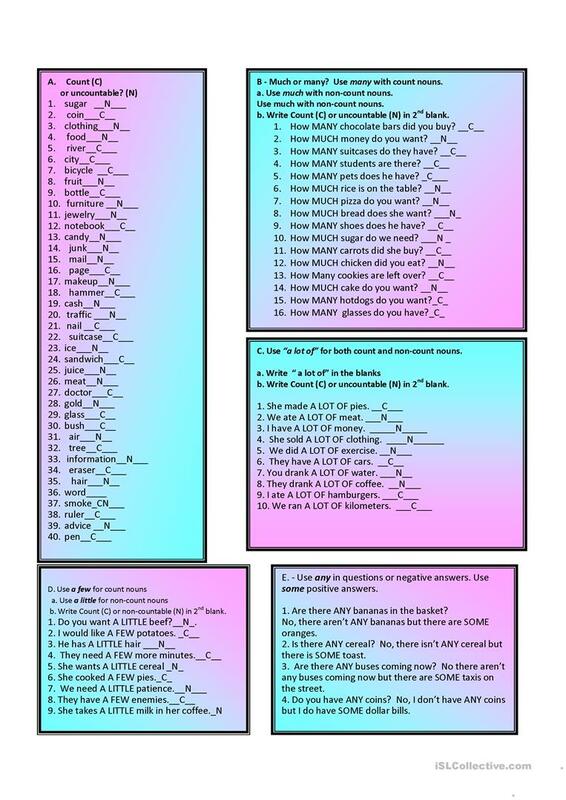 This printable, downloadable handout is best suited for high school students, elementary school students and adults at Elementary (A1), Pre-intermediate (A2) and Intermediate (B1) level. It is a useful material for consolidating Countable and uncountable nouns in English. kate0611 is from/lives in Canada and has been a member of iSLCollective since 2010-05-22 17:55:05. kate0611 last logged in on 2019-04-10 07:48:41, and has shared 6 resources on iSLCollective so far.